1. Clean windshield. A dirty, bug-splattered windshield is a safety hazard, as it obscures your view of the road. So give it a regular cleaning. Using the spongy part of the gas station squeegee, soak the whole windshield with the cleaning fluid. Then pull the squeegee tightly from the middle of the windshield to the sides, finishing off the remaining streaks by pulling it top to bottom. This is especially important after an extended drive on the highway when your windshield is littered with insect carcasses and using your car’s washing fluid and wipers to remove them only creates a big, smeary mess that obscures your line of sight even more. If your headlights are dirty, give them a squeegeeing as well. Your wipers have a role to play in keeping the windshield clean too, but we’ll talk about them later this week. 2. Check tire pressure. Maintaining proper tire pressure will keep you safe and even save you a little dough. Improperly inflated tires — and this may mean over-inflated or under-inflated — don’t handle or stop as well as tires with the correct pressure. They also increase your chance of a blow out. Plus, tires with the correct pressure have a longer life and increase your fuel efficiency. You’ll often find your vehicle’s recommended tire pressure on a sticker inside the driver’s side door. Car manufacturers spend a lot of time coming up with this number, and it’s the one you should use. Tire pressure is something you have to keep your eye on, as it constantly changes as the tires log miles and the temperature fluctuates. That’s why it’s so important to check it regularly and add air when needed. Some experts say you should do this at every gas fill-up, but just as with the oil check, every other fill-up should be enough to catch any deficiencies before they become big problems. For an accurate reading, always check tire pressure when your tires are “cold,” that is before you’ve driven around on them. I only check my tires’ pressure at a gas station when I fill up at the one less than a mile from my house, first thing in the morning. If you’ve already been driving around for awhile, let the tires “rest” for at least four hours before checking the pressure. 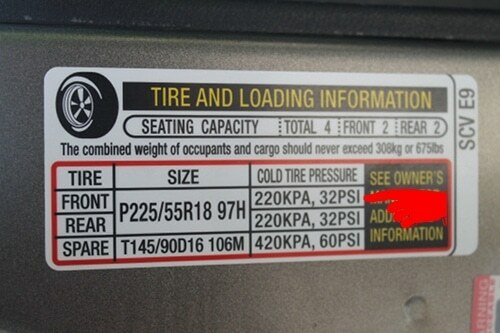 Find out the tire pressure recommended for your car (it’s in your owner’s manual and on a panel inside the driver’s side door, as picture above). Always fill the tires to this recommended level, regardless of tire brand, and not to the max PSI found on the tire sidewall – that number indicates the maximum pressure the tire needs to carry its heaviest load, not the tire’s ideal PSI. 3. Check oil level and top off as needed. 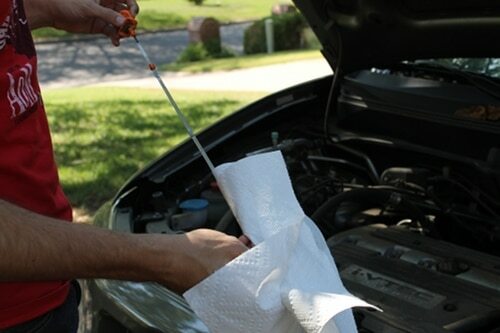 Motor oil is essential to your car’s performance. Its most important job is to lubricate all the moving parts in your engine so they don’t grind and tear themselves into dysfunction. It also transfers heat away from the combustion cycle and traps and holds all the nasty byproducts of combustion, sending it to the oil filter. If your engine doesn’t have enough oil, your car is at risk of going kaput. Pull the dipstick out. No snickering. Wipe it clean with a paper towel. The gas station usually has some available near the pumps. Back goes the dip stick. Make sure it goes all the way in. Now, we’re actually going to check the oil level. Pull the dipstick out again, but don’t turn it upside down to look at it. This makes the oil run upward and ruins your reading. The dipstick will have two marks at the bottom. They are usually either lines or holes in the stick. Mine has two holes. The oil level can be read by looking where the oily part ends and the dry part begins. 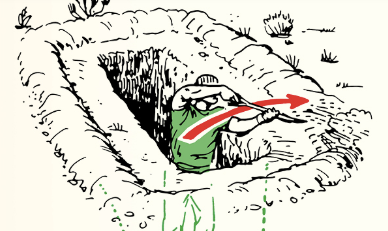 If the oil line is between the two marks, you’re good to go. If it’s below the bottom mark, you need to add some more oil. Just a quart mind you. You should never add more than a quart at once without driving and taking a new reading of the oil level. Too much oil isn’t good for the engine. There you go. You just read a dipstick. Most cars are designed to consume a bit of oil between changes, and many manufacturers consider a consumption rate of one quart every 1,000 miles to be normal. 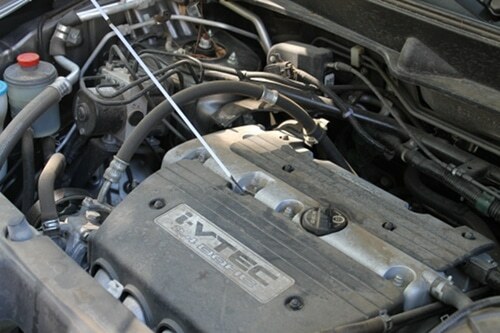 Some cars lose more than that because of leaks or because the engine is burning oil along with the gasoline. 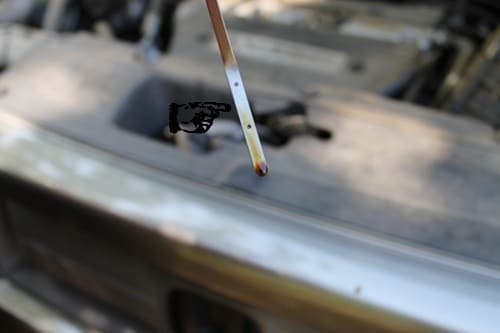 If you’re needing to add a quart of oil every 500 miles or so, you should take your car in ASAP to get it checked for external and internal leaks. Your vehicle also requires maintenance tasks that are performed less frequently, but are vital to allowing your automobile to live a long and fruitful life. These tasks include oil changes, tire rotations, replacing transmission fluid, and the like. Don’t follow the dealer’s or mechanics’ recommended maintenance schedule. They often suggest that you come in more frequently and perform maintenance that you really don’t need. For example, most quick lube and dealership service shops recommend you bring your car in every 3,000 miles for an oil change, despite the fact that most modern engines are designed to run for 5,000 miles before needing one. Another example is coolant replacement. A lot of mechanics recommend having it replaced every 30,000 miles, but many vehicles don’t need this service until they reach four times that. And after the 120k mark, manufacturers often recommend the coolant be replaced only every 60,000 miles. Instead of relying on Larry at the KwikLube to tell you when you should service your car, pop open your glove compartment (or “jockey box” for you gents living in the Mountain West region), and pull out your owner’s manual. There should be a section where it lists the manufacturer’s recommended maintenance schedule, which tells you how often to get your oil changed, rotate the tires, and replace fluids and parts. If you can’t find the owner’s manual, a quick Google search will bring it up. By following your vehicle’s ideal maintenance schedule, you can prevent costly inspections, repairs, and replacements, and keep your car humming for many years. As newer vehicles have become increasingly complex with onboard computers and high-tech gadgetry, maintenance jobs now often require a mechanic with the proper training and tools to correctly complete the task. But there are still a few maintenance jobs that most men can do themselves on most models, and below I list three of the most accessible. It’s true that taking care of these tasks doesn’t save you very much in either time or money, but it is satisfying nonetheless and I recommend trying each job at least once, as they’ll give you a reason to look under your hood as well as a small bit of insight into how your trusted chariot works. Change oil every 5,000 miles. 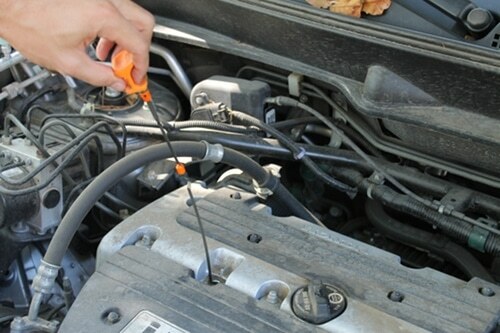 We’ve written a guide on how to change your car’s motor oil yourself. But for those living in an apartment or dorm, this might not be an option. Whether you do it yourself or take it to a mechanic, getting your oil changed regularly is one of the most important ways of keeping your car running smoothly. Change air filter every 12,000 miles. 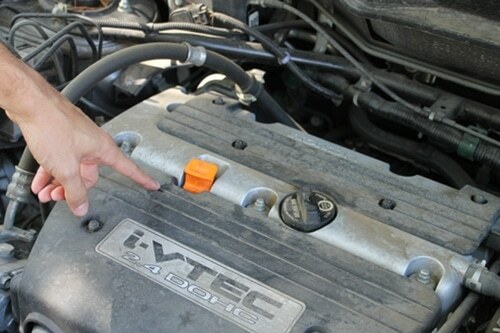 This is quite possibly one of the easiest car maintenance jobs you can do yourself. 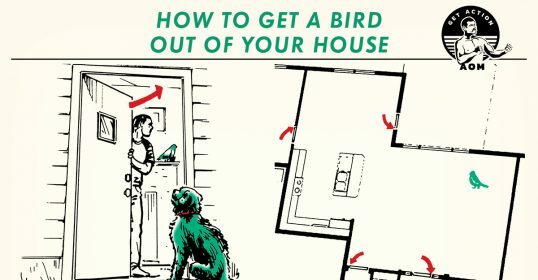 We wrote how to do it here. Regularly changing your car’s air filter will increase fuel efficiency, prolong your engine’s life, and reduce emissions. While changing your car’s oil comes with the hassle of finding a way to dispose of the used oil properly, no such inconvenience exists for the air filter, and doing it yourself will easily save you half the cost of having a service shop take care of it. Rotate tires every 5,000 to 10,000 miles. Front and rear tires wear differently. Regularly rotating your tires equalizes their natural wear patterns, ensuring a smoother and safer ride. It also extends the life of your tires, which will save you money on costly replacements. Here’s how to rotate your car tires. Besides performing regular maintenance, another important part of taking care of your car is keeping it clean. Wash your car regularly. 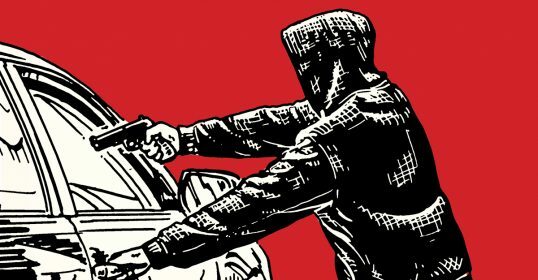 Every day our cars are subjected to sun, salt, grease and grime, acid rain, smog, tree sap, dead bugs, and worst of all, the acidic compound of bird poop bombs. These things eat away at paint, and once that’s gone, they will eat at the metal in your car. While failing to wash your car won’t result in immediate damage, over time the elements will corrode your vehicle, along with its potential re-sell value. How often should you wash your car? It depends. Location and climate are the two biggest factors in determining frequency. If you live in an area with a lot of pollution and sea salt in the air, you’ll need to wash it two or three times a month. If you live inland and in an area with little pollution, a once a month car wash will suffice. During the winter, you may need to wash your car more frequently than you do during the summer due to the snow, salt, and mud that will accumulate as you drive along icy roadways. Don’t forget to detail your car after you wash it! Don’t use the inside of your car as a garbage can. The inside of your car is not a garbage can, so quit treating it like one. Get in the habit of regularly cleaning out your car so it doesn’t constantly look like a dump. Keeping your car’s interior clean and tidy can reduce stress in your life and make the driving experience more enjoyable. Also, you never know when you’ll have unexpected passengers . By keeping your car clean, you’ll never have to sheepishly say, “Sorry about the mess,” as you wipe away shards of yesterday’s QuickTrip breakfast burrito from the passenger seat. Any other car maintenance tips for a young man headed out on his own? Share them with us in the comments!